What is Triple Strength Omega 3? Fish oil is a rich source of EPA and DHA, two omega-3 fatty acids that are essential to human health. Since omega-3 fatty acids cannot be produced by the body, they must be consumed as part of a diet. This is sometimes difficult to achieve from regular food sources, especially for individuals who don't eat fish. Each serving of Triple Strength Omega 3 contains 950mg of omega-3 fatty acids, 680mg of EPA and 270mg of DHA to ensure that you can easily fulfil all of your daily omega-3 requirements. It also contains the natural antioxidant vitamin E, which helps to protect the cells of the body from oxidative stress. A daily intake of 250mg of DHA supports normal brain function and contributes to the maintenance of normal vision. In addition, a daily intake of 250mg of DHA and EPA combined supports normal heart function. 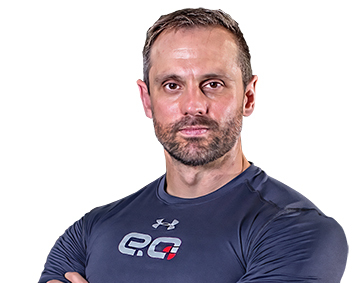 My focus is to make sure EQ Nutrition delivers our brand ethos of Excellence and Quality across our entire product range and that any athlete at any level can trust us and be confident in the products they choose.